This was so tasty! 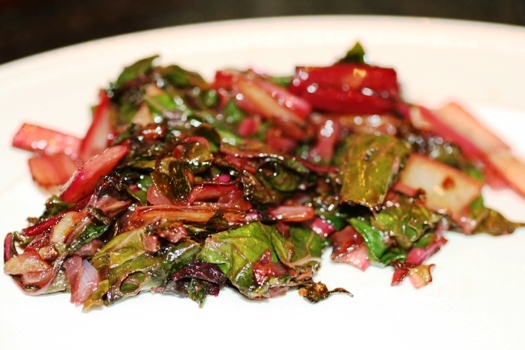 I didn’t think I was going to be a Swiss Chard fan, but after the garlic and red onions, it made this taste absolutely wonderful. 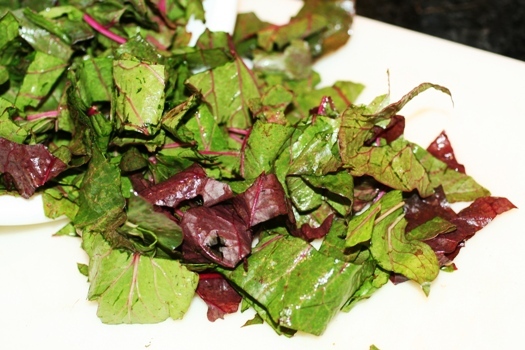 Remove stems from chard and chop into 1-inch pieces. 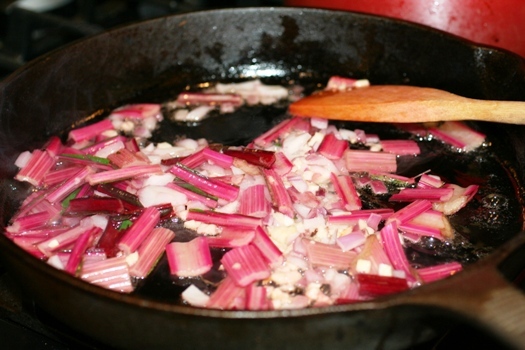 Heat oil and butter in a large skillet and add onion, garlic and chard stems. 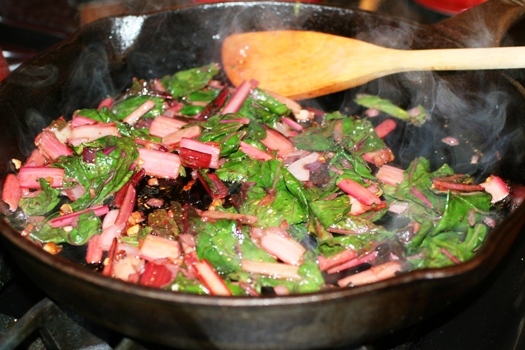 Cook about 5 minutes, then add swiss chard leaves. Cook until wilted, add lemon juice and remove from heat. Serve with Parmesan cheese.